Call us when you change your phone number or address. If we can't speak to you, we can't defend you. a. We only handle criminal charges. b. We DO NOT handle family law, divorce, civil suits, or any other type of law. The Public Defender system is designed for the representation of indigent clients. If you can afford to hire a private attorney, you should do so. A public defender must comply with the same standards as the private defense bar. 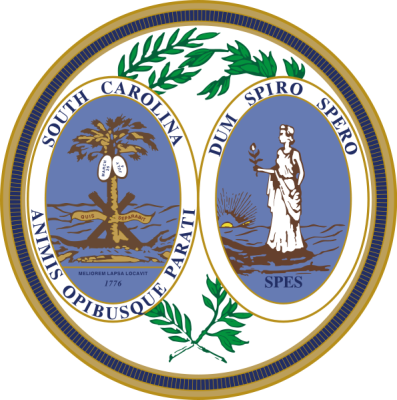 Every attorney is a licensed member in good standing of the South Carolina Bar Association. The best way to speak with your attorney is to set up an appointment. Many times when you call the office your attorney will be unavailable because they are in court, at the jail, or meeting with another client. Their paralegals will be happy to schedule an appointment for you. Always plan to show up 15 minutes early to court. Be patient while you wait. Do not assume that while you are waiting that nothing is happening. Your attorney is often discussing and resolving many cases with the prosecutor. Additionally, the prosecutor determines the order in which cases, are called, not your attorney. I am charged with a crime, can I speak with the prosecutor? a. No, once you have an attorney, the prosecutor is prohibited by law from discussing the case with you. b. All communication will go through your attorney. Call 803-642-1732 and give the staff member your full name and date of birth. Then ask who your attorney is. Call 803-259-1129 and give the staff member your full name and date of birth. Then ask who your attorney is. a. When a defendant is arrested, a magistrate at the jail will set a bond. If the defendant cannot post this bond or bond is denied the defendant will remain in jail. b. Once an attorney is appointed they will file motions to receive discovery. Discovery is simply all the evidence that the prosecution has against the defendant. c. The prosecutor must provide discovery to the attorney in accordance with the law. d.Once the attorney receives and reviews the discovery, they will review it with the client and conduct further investigation as needed. e. Once all necessary information is obtained, the attorney will discuss options with the client so that the client can desice how to proceed - either trial or guilty plea. a. Each case is different. Certain cases can be resolved within one month, while others can take months or years, depending on the severity of the charges. b. There may be times where you do not hear from your attorney for several months. This is not unusual. During this time your attorney is working on the case by contacting the prosecutor, researching case law, or interviewing witnesses. a. You should wear clothes that show respect for the court and that you are taking your case seriously. b. You should never wear anything that glorifies crime or violence. Clothing that references guns, drugs or gangs are never appropriately. Everyone should refrain from wearing clothing that is tight-fitting, too short, or revealing.